A modern twist on the classic search for love. Claire, a romantic, starry-eyed working girl frustrated with her love life, is strongly encouraged by her close and more practical friend Julie to try online dating in order to find her one and only. 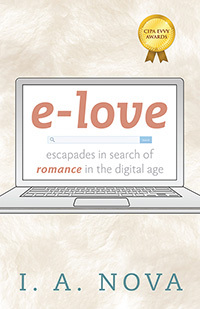 Unsure and reluctant at first—it seems unnatural to look for love on the Internet!—Claire soon embarks on an exciting adventure, filled with ups and downs and everything in between. Will Claire find true love? Or will she remain single forever? Find out in this fun, high-spirited novel. I. A. Nova has a lifelong interest in exploring the subject of human nature, especially in relationships between men and women. She has worked in the production department of one of the prominent ballet companies in the United States and currently works in the field of communication in Arizona.